"Assembly-CSharp (this could change, depending on the name of the file), File is not a portable executable. DOS header does not contain 'MZ' signature." it means you have got an encrypted DLL! It means the DLL file does not have a valid MZ/PE header so you can't open/modify it. 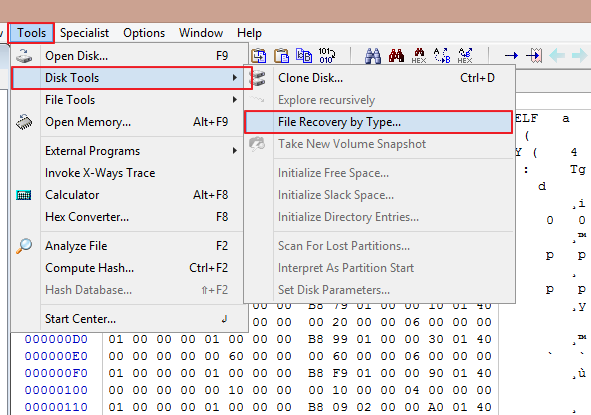 DLL files require MZ/PE headers in order to view its content and, to prevent hacking, some game developers protect their game erasing these MZ/PE headers from some dll files. Now let's start with the requirements! 5. 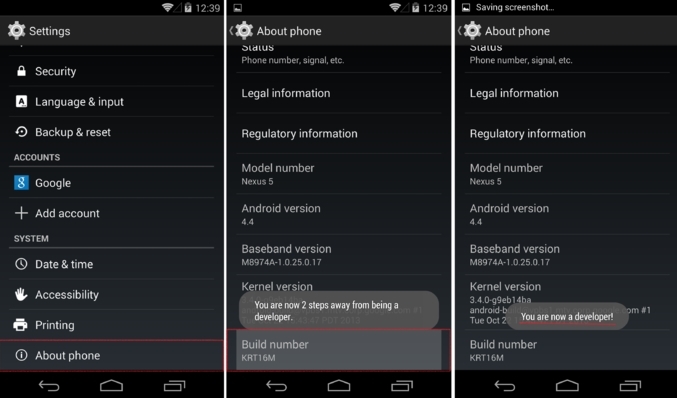 A Rooted Android device running Android 4.2.2 and newer versions. Previous version might not work. Update your BusyBox and Superuser. Most Superuser have an update check option in the settings, some of them don't. Simply open a setting and request an update, or manually update the app from the website. Install BusyBox from the given link. 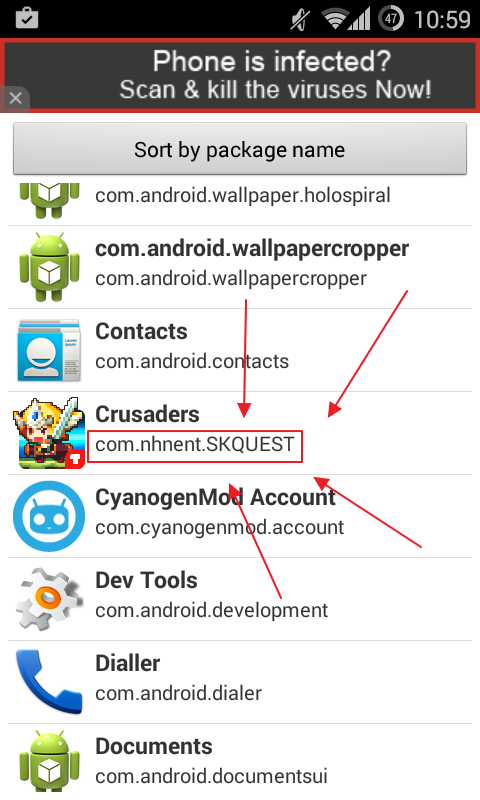 Open the app and grant Root permissions. 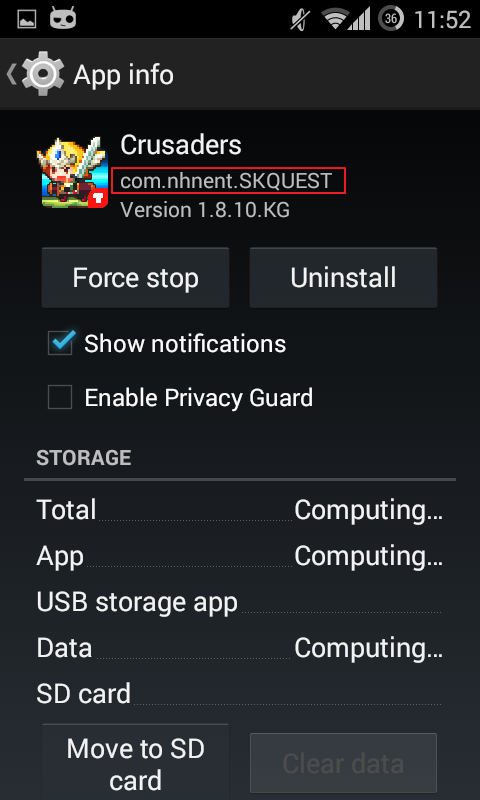 Smart Install will slowly load and, when completely loaded, tap "Install". 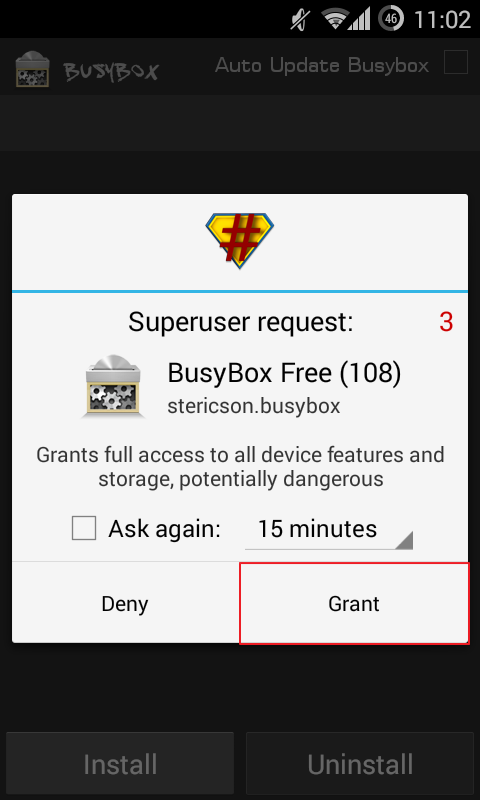 The BusyBox binaries will be now permanently installed on your device. You can close the app or even uninstall it. 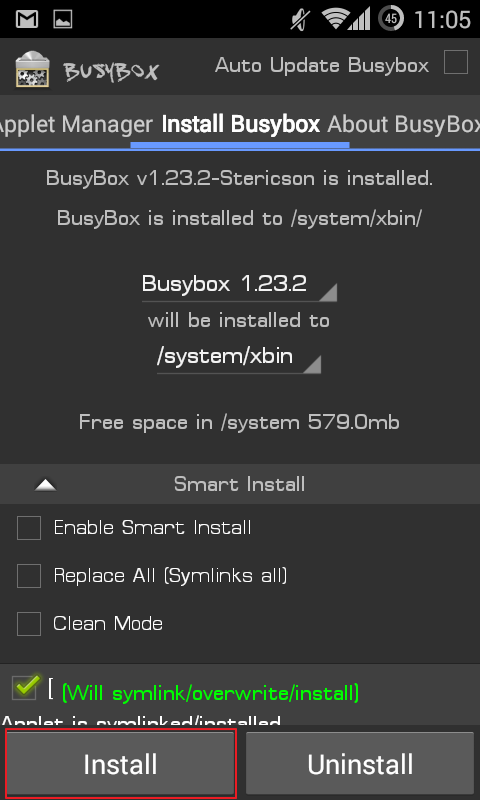 BusyBox is just the installer. See screen below if you need help. 4) Paste them to /system/bin/ (in your INTERNAL ROOT memory -> system -> bin) Folder (of course you will need to grant root permissions to see that folder). 5) If asked, overwrite files. 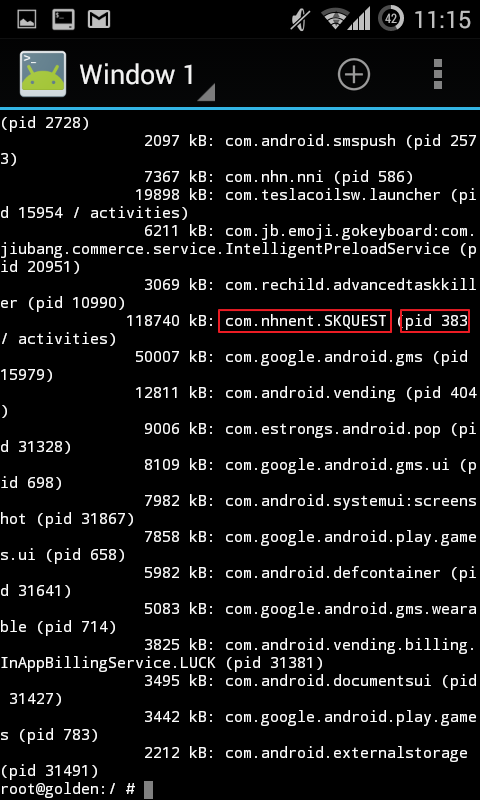 Find the package name of the app you're going to hack! This will be required to find the app in the Terminal app we're going to use soon. You can find it going (with your browser) to the Google Play website https://play.google.com/, looking for the game you have installed on your device and then copying what's next to "id=". For Cyanogenmod ROMs, you can go to "Settings" -> "Apps" and then you'll find the package name of any app you have installed on your device. 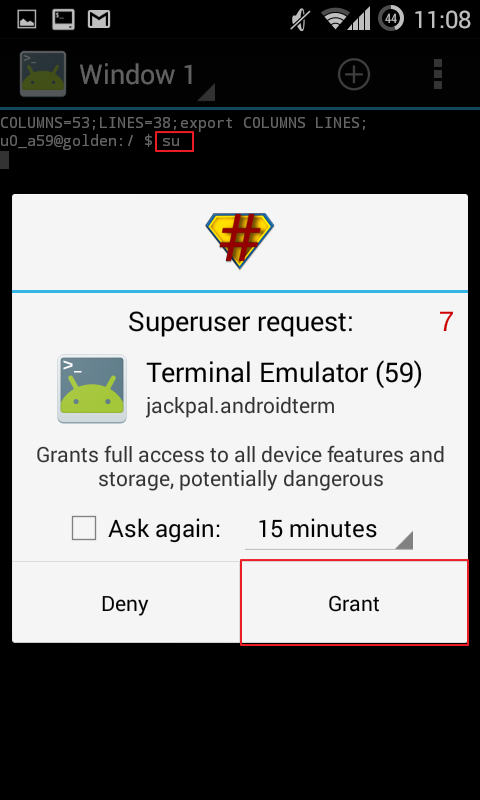 Now hit Enter and grant Root Permissions for the Terminal app. Your username will now start with "root@". 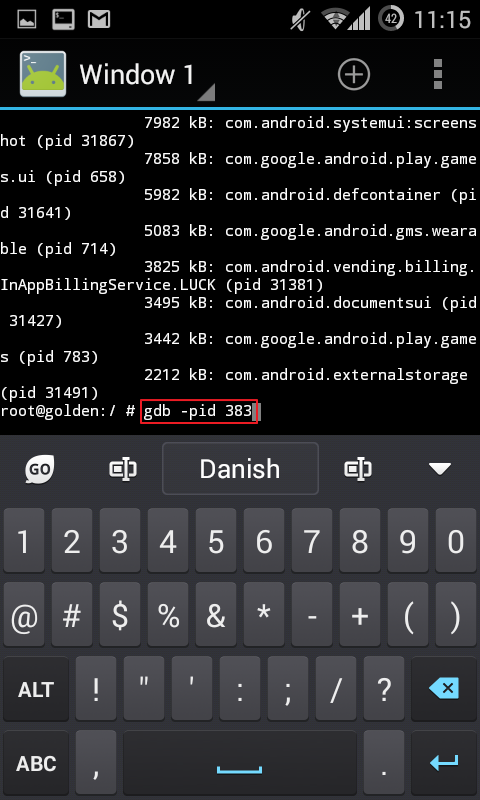 This confirms you have now Root Permissions on the Terminal. Hit enter and you'll see a list of the running process of your device. You will find the package name of the game with the encrypted dll too! Take note of the number next to "pid" (PID stands for "Process ID" and changes everytime a process starts). In my example, I'll take note of the number "383". In my example, I'll use my Crusader Quest's PID (383). We're almost done with Terminal. 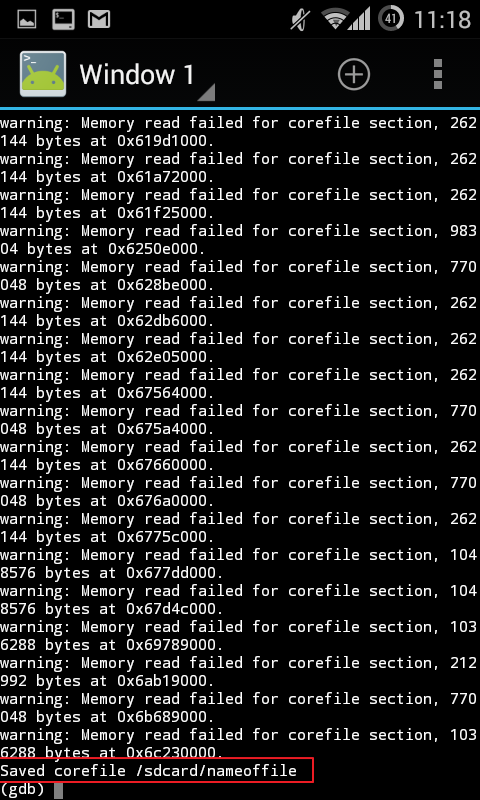 Now we do need to save the dumped file from the RAM storage we will use to get the decrypted dll into our /sdcard/ path. 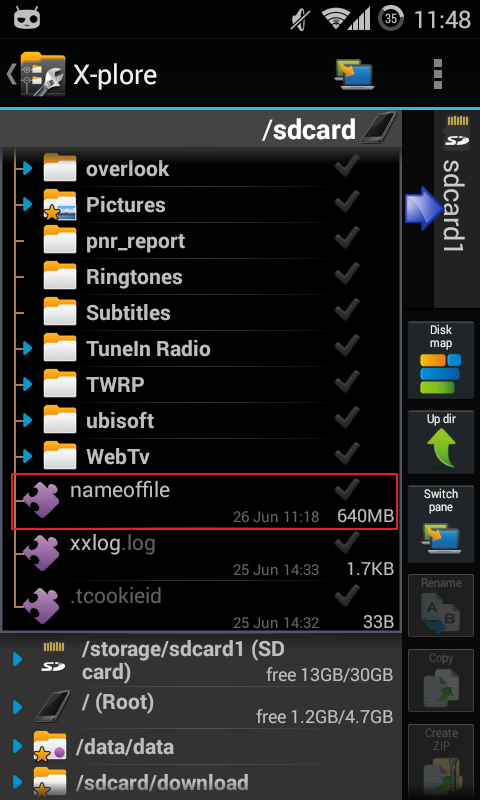 So, choose how to call this file (I will call it "nameoffile" as an example). Hit enter and the Terminal will show empty line.. it's generating a very big dumped file so wait patiently until it completes this process. The file could be up to 1GB of size!!! 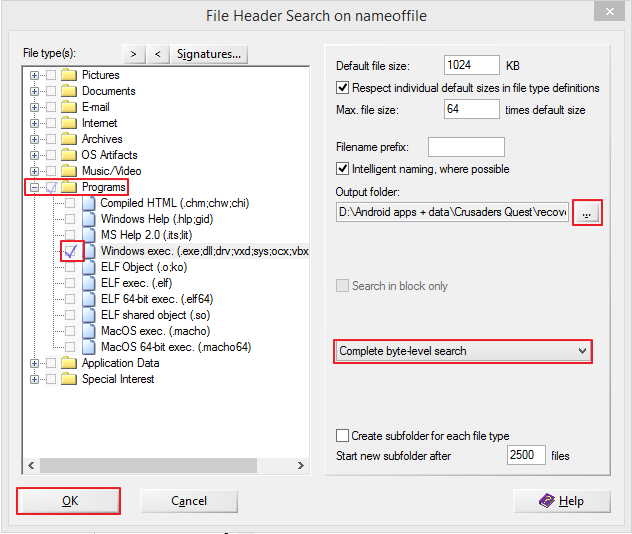 Of course, instead of "nameoffile" you will see the name of the file you chosen before. after that, you succcessfully decrypted the game. Close the Terminal app. They do not interfere in ANY way with the decryption of the .dll files. Are you tired? Well, I've got a good new for you. You just decrypted the dll (well, every dll also if not encrypted will be "decrypted"! You're almost done. You just need few more steps and you'll be able to HACK your game! You can (finally) close the Terminal App! Moving the file to your PC! If you browse with your mobile to the path "/sdcard/", you will see the new big file but, since Windows can't see dump files, to move it to your PC you have two chances. This way you'll see dump files from your PC. Go to Settings -> About Phone and tap on "Build Number" 7 times. You will unlock the "hidden" developer menu. Now go will see "Developer Options" inside "Settings" of your device. 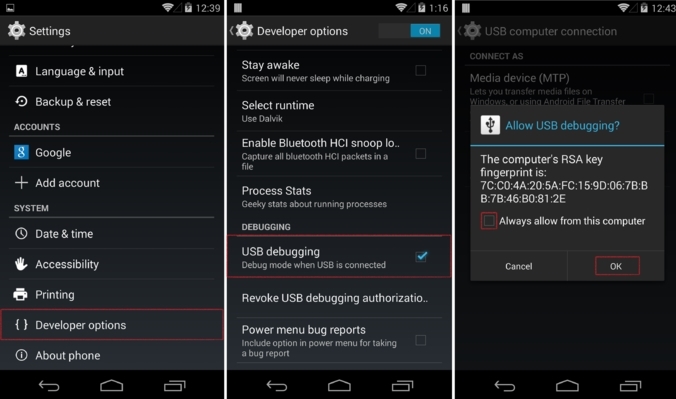 Tap on it and check "USB Debugging". 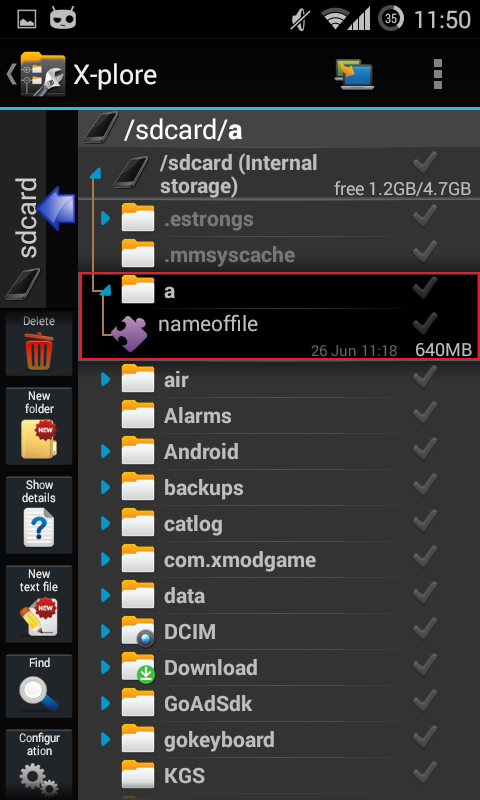 Create a folder on your /sdcard/ path and move this dumped file to the newly created folder. This way Windows should be able to see it. 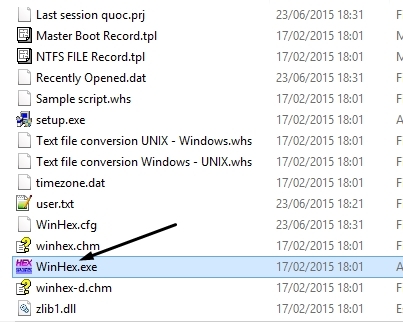 Now take a look at the top of WinHex window and click "File" -> "Open" (see pic). 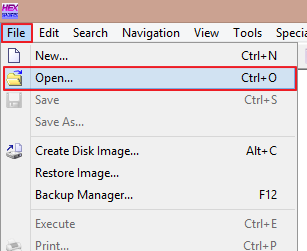 So, go to the folder where you copied the big file and click "Open". Click the "+" next to "Programs" (1) and check "Windows exec." (2). 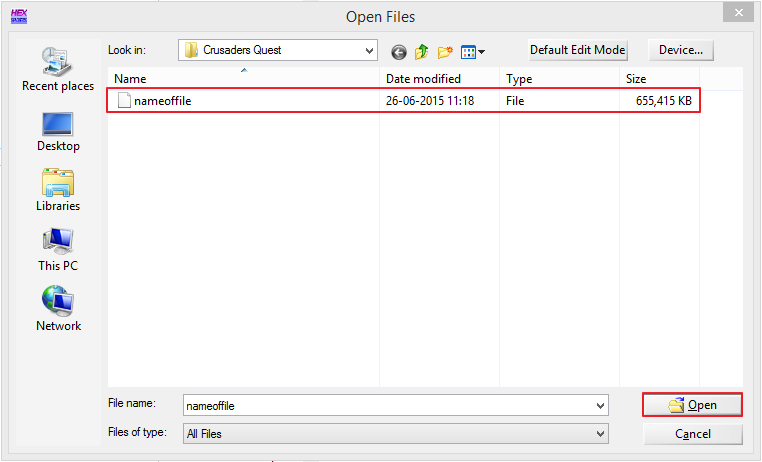 Now, select the folder where you want the new file to be generated under "Output Folder" (3). Ensure "Complere byte-level search" is checked (4) and then click "OK" (5). 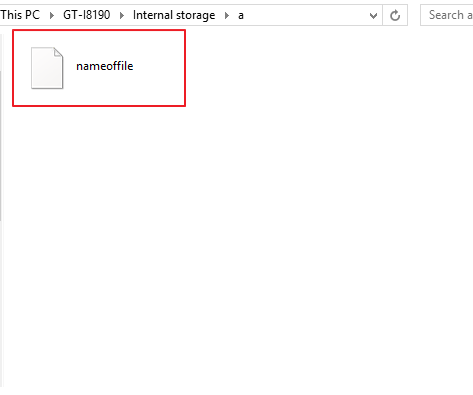 Now, reach the location where you saved this file and delete all files with the ".com" extension. They're not needed and may only cause confusion. If you do need help, please reply below!